Update: I think Jimmy Kimmel is doing a terrific job. 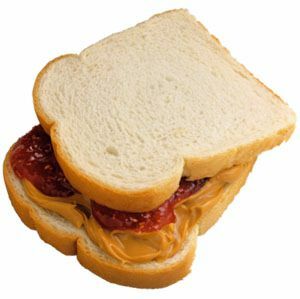 I loved the part with his mother making PB&J sandwiches for everyone. Great delivery on line about how people who are allergic to peanuts are out of luck, they could only afford one epi-pen. The 2015 Emmys are tonight. Andy Samberg is hosting. The Emmys have been so boring. Maybe it is the low-key production. But they just picked up with Aaron Paul winning Best supporting actor for Breaking Bad. 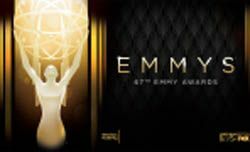 Here's a thread for all things Emmy related. The Emmys are on tonight. Its website is really lame, but AOL already has 341 photos from the Red Carpet up.